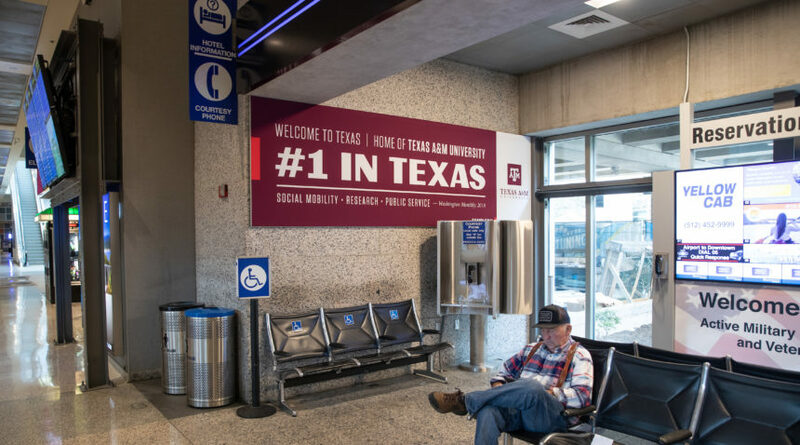 Texas A&M kicked off its presence at SXSW Interactive Festival early with an ad takeover of Austin-Bergstrom Airport. 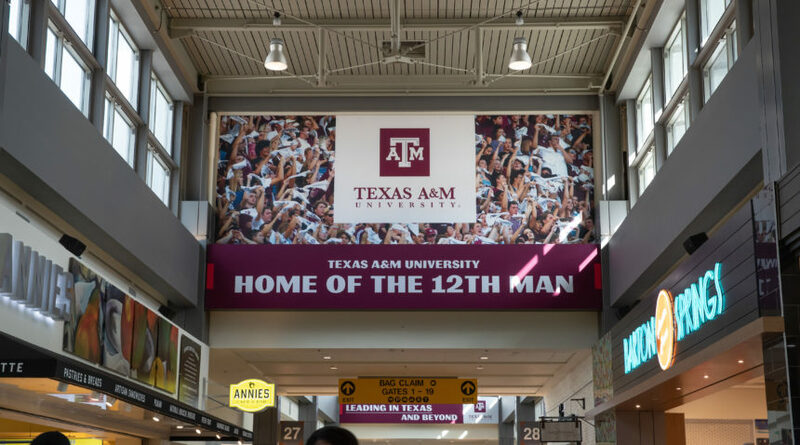 SXSW attendees from around the world will be greeted with a splash of Aggie maroon when they land in Austin-Bergstrom Airport as Texas A&M University gears up for its March 10-12 return to the interactive festival. Texas A&M’s takeover, which features more than 70 digital and print installations throughout Austin-Bergstrom, runs from Feb. 25 to March 24. The City of Austin reported that Austin-Bergstrom’s total passenger traffic for March 2018 reached more than 1.3 million, a 13 percent increase from March 2017. Total enplanements for March 2018 reached more than 640,000, an 11 percent increase from the previous year. 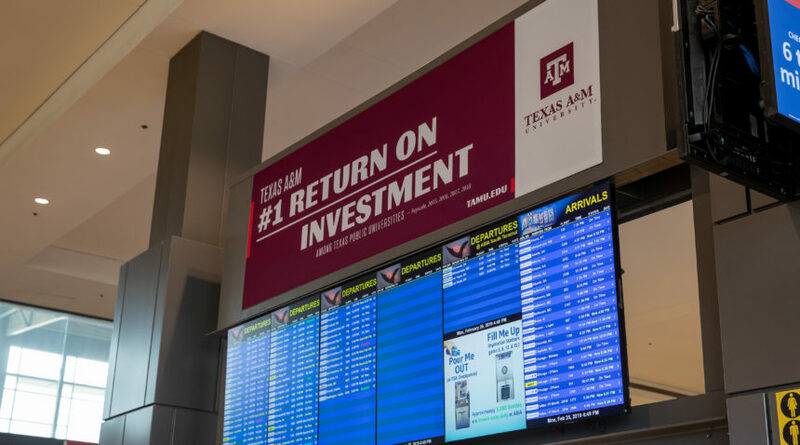 Texas A&M’s takeover of Austin-Bergstrom Airport features more than 70 digital and print ads and runs through March 24. Amy B. Smith, Senior Vice President & Chief Marketing & Communications Officer in the Texas A&M Division of Marketing & Communications, said the takeover will showcase the university’s research and ingenuity, and hopefully leave a lasting impression on many of the 280,000 people expected to travel to Austin this year for SXSW. Texas A&M announced earlier this month that it would return to SXSW for its third year to host three days of interactive experiences at Texas A&M [Power] House March 10-12 at Flemings in downtown Austin. Panel programming at SXSW features guests that include Army Futures Command, Pixar Animation Studios, EA BioWare, PepsiCo and Verily. Reimagining Public & Private Partnerships – Monday, March 11 at 11 a.m.
World-Building Creativity & Technology– Monday, March 11 at 3:30 p.m. Brand Masters On Building The Brand– Tuesday, March 12 at 11 a.m. Plugging Into Rural Healthcare Solutions– Tuesday, March 12 at 3:30 p.m.
Additional details about Texas A&M programming at SXSW is available at sxsw.tamu.edu.